The publication contains detailed official national accounts data for 202 countries or areas of the World for the years 2000 to 2011. It is a valuable source of information on the state and structure of economies worldwide. The data for each country or area are presented in separate chapters with uniform table headings and classifications as recommended in the System of National Accounts 1993 (1993 SNA). 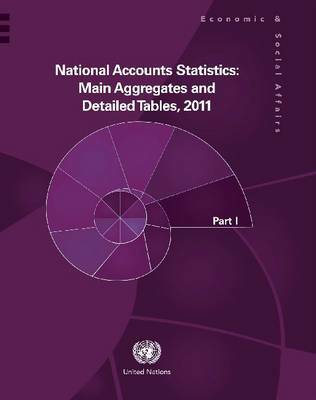 Each country chapter also contains a write-up on the methodology and data sources which are used to compile the national accounts. A summary of the SNA conceptual framework, classifications, definitions, is also included in the publication. The publication contains statistics on gross domestic product by expenditure at current and constant prices and the relations among product, income, saving and net lending; value added by kind of activity at current and constant prices, and output, gross value added and fixed assets by industry; classification of consumption expenditure of general government, households, and non-profit institutions serving households according to purpose; production account through the financial account for the institutional sectors; and cross classification of gross value added by industry and institutional sector.